A great selection of several properties for rent in Adliya is available on Weetas. 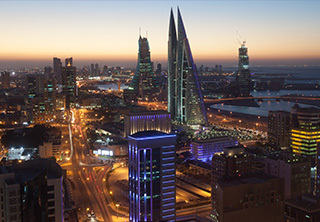 Some refer to it as the Bohemian neighbourhood in Manama; but the fact is Adliya has evolved over the years becoming a multicultural, busy area, a home to commerce, culture and entertainment but above all Adliya is now recognized as one of the four centres of Manama's nightlife where residential units are compared in quality with apartments for rent in Juffair, Seef, and Amwaj. To top all of that, Adliya houses some of the finest real estate options for those looking to rent. Whether you are looking for a studio, an apartment or a villa; Adliya has it all with various sizes and styles to suit all tastes. Adliya has a wide selection of properties with a different style that will fancy those looking for properties for rent in Adliya. Short or long stay, Adliya is the perfect place to find the rental of your dreams. From one, two, three-bedroom apartments for rent in Adliya that are either semi-furnished or fully furnished, the average rental rate is between 400 BHD to 1000 BHD. However, if you are looking to rent a villa in Adliya; then the average rental rate is 1,400 BHD and that is for the semi-furnished four-bedroom villa. You can either choose stand-alone properties or ones that lie in a gated community; the important thing here is you will always find a little bit of everything in Adliya. A unique three-bedroom apartment for rent in Adliya fully equipped with the best quality of home appliances, elegant furniture and fittings; is available for rent for 650 BHD. This apartment lies in a building that houses a wide array of top-notch facilities such as swimming pool, gym, parking spaces and much more. Another opulent apartment you can check in your hunt for properties for rent in Adliya is the 72 sqm one-bedroom apartment that lies with the newly renovated Gulf Executive Residence and is available for rent for 1,000 BHD. This apartment gives tenants a full access to a stunning lagoon swimming pool with waterfalls, whirlpool, health club and two-tiered decking. If you fancy renting a villa; then Adliya never fails to impress! A modern four bedroom villa with direct access to communal gardens is available for rent in Adliya for 1,250 BHD. This villa sprawls over an area of 400 square meters and it includes a private terrace and beautiful gardens beyond. The villa lies in a central location in the heart of Adliya where it is close to all the restaurants, cafes and coffee shops. There is also a partially furnished villa with built in wardrobes and walk-in closet that extends over an area of 202 square meters and comprises of four bedrooms and five bathrooms. This villa is available for rent for 1,200 BHD and it is the ideal rental for big families looking to have a blast in Bahrain. Weetas Real Estate is a local broker with a wide knowledge in Bahrain's real estate market with a big team of specialists in rental accommodation. A reliable partner that you can depend on at all times; Weetas will give you a hand in your search for properties in Adliya for its database is filled with properties for rent in Adliya that suits all customers needs and requirements.